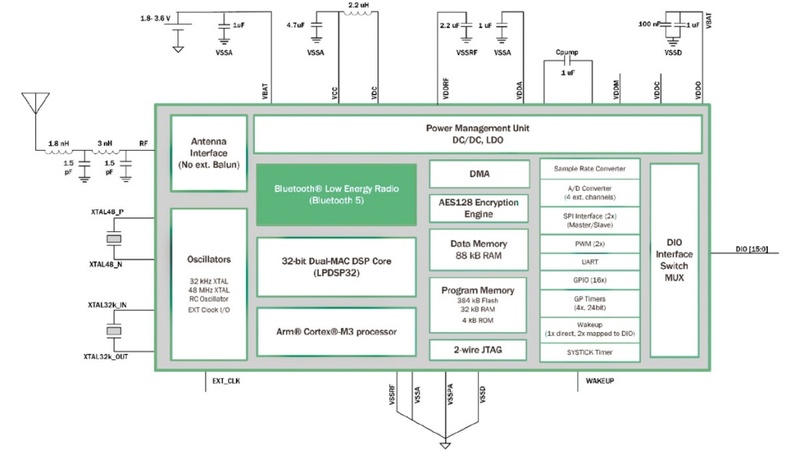 Bringing the industry’s lowest power Bluetooth® low energy technology to IoT with a highly flexible multi-protocol 2,4 GHz radio RSL10 from ON Semiconductor. 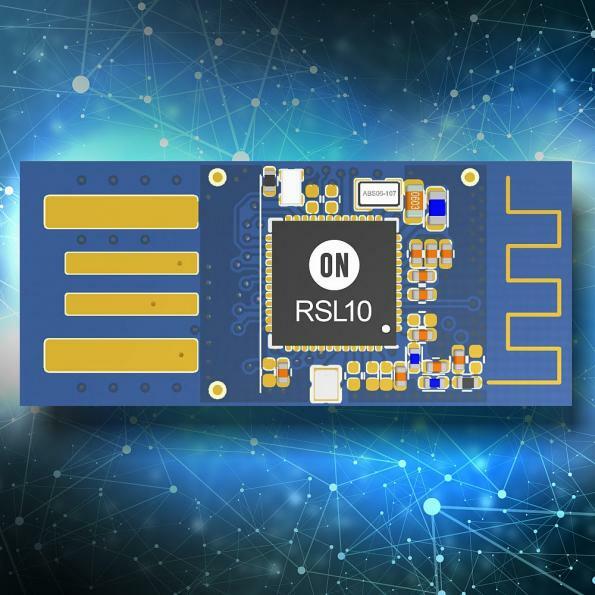 RSL10 is a multi-protocol Bluetooth 5 certified radio System on Chip (SoC) which brings ultra-low-power wireless technology to IoT. 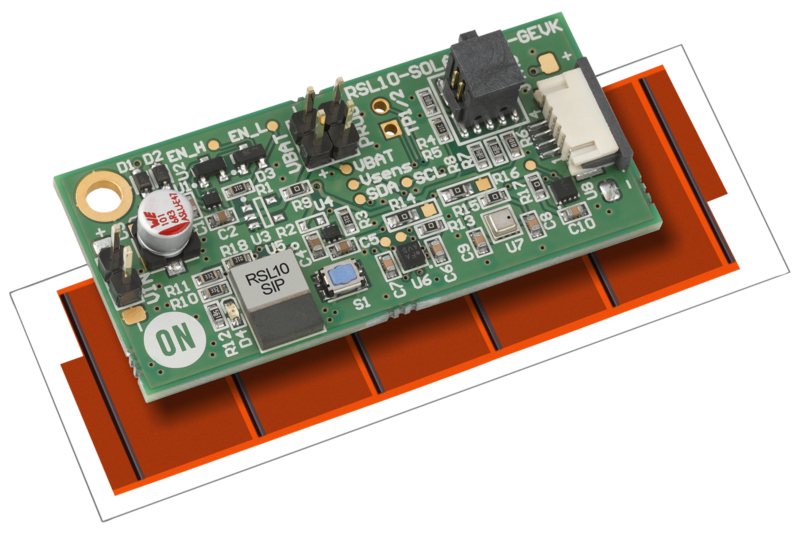 Unlike most other multi-protocol radio SoCs, RSL10 is specifically designed for applications using 1.2V and 1.5V batteries, and supports a voltage supply range between 1.1V and 3.3V without a required DC/DC converter. The highly-integrated radio SoC features a dual-core architecture and a 2.4 GHz transceiver, providing the flexibility to support Bluetooth low energy technology and 2.4GHz proprietary or custom protocols. Ultra-Miniature: RSL10 is offered in a 5.50 mm2 WLCSP and a 6 x 6 mm QFN. 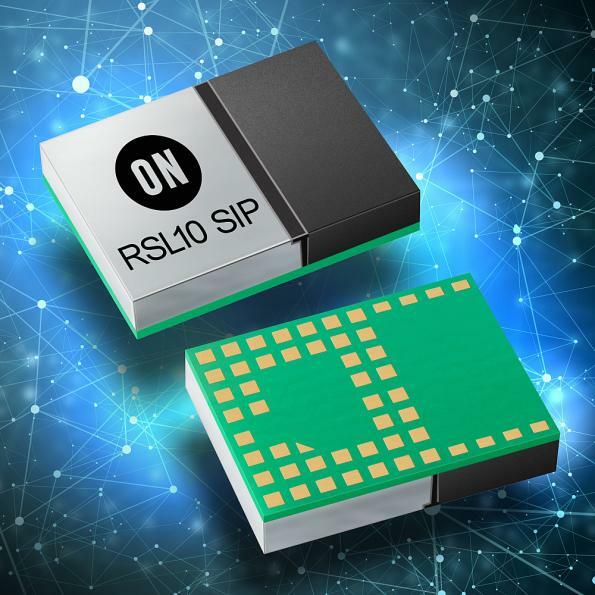 For added miniaturization, the radio SoC can be integrated into System-in-Package (SiP) solutions which combine RSL10 with a custom ASIC. Sophisticated Dual-Core Architecture: Features a programmable ARM Cortex-M3 processor for clocking speeds up to 48 MHz and the flexibility to support 2.4 GHz proprietary and custom protocol stacks. An embedded Digital Signal Processor (DSP) enables signal processing intensive applications, such as wireless audio codecs. On-Chip and Software Wireless Support: Features a 2.4 GHz Radio Frequency Front-End (RFFE) and a Bluetooth 5 certified baseband controller which supports 2 Mbps data rates. A wide range of supported Bluetooth low energy protocols are provided in the RSL10 development tools kit. Highly-Integrated System-on-Chip (SoC): The powerful dual-core architecture is complemented by high-efficiency power management units, oscillators, flash, and RAM memories, a DMA controller, and peripherals and interfaces.